Suorin Edge Pods are built with an innovative leak-proof design to prevent spillage and are compatible with nic salts as well as free-based vape juice. 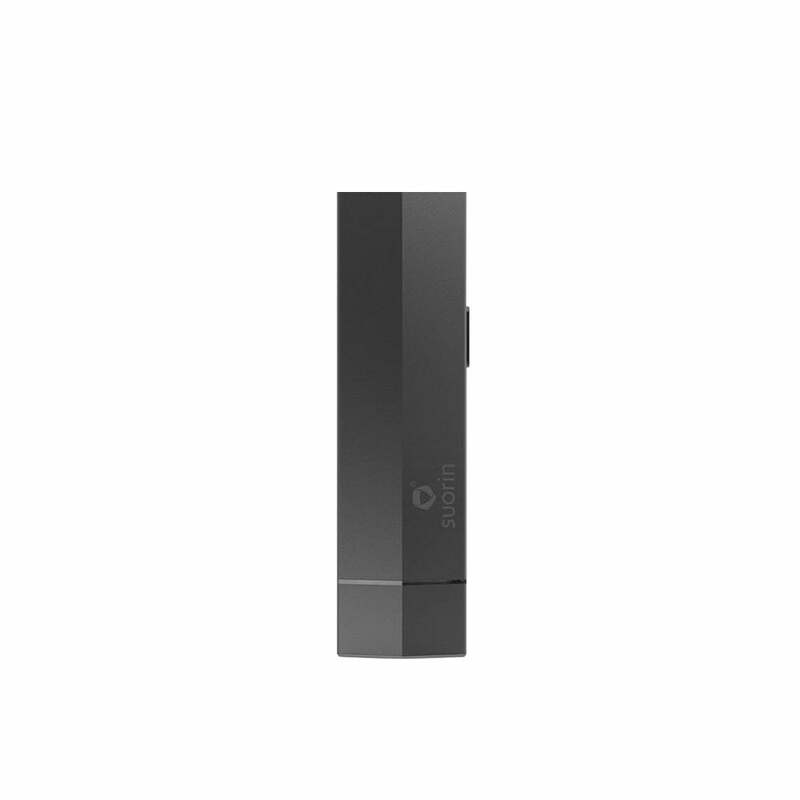 The Edge is a refillable vape kit from Suorin that provides never-ending vaping with removable 230mAh batteries that can be charged in 30 minutes. The Suorin Edge utilizes 1.5ml pods that can be refilled with nic salt vapes juices. Suorin has time and time again delivered quality, easy-to-use, intelligent looking pod systems in the past, and the Edge is no exception. With a sleek metal chassis, the Suorin Edge is both durable and looks great in any 6 of its available color options. Vaping in style has never been easier with the Suorin Edge. The Suorin Edge pod mod kit comes with a battery sleeve as well as two separate 230mAh batteries, allowing you to use the Suorin Edge while another battery is charging, making it the perfect option for vapers on-the-move. Suorin Edge batteries can be charged in around 30 minutes with a quick-charging USB-C type cable, minimizing the time it takes to get back to nicotine satisfaction should both batteries run out of power. Suorin Edge Pods are sold separately and hold 1.5ml of vape juice. Pods are easily refilled and can be used 2-3 times after initial use, ideally with your favorite nicotine salt juice. If you are a fan of the portability, ease-of-use, and excellent performance of Suorin products like the Suorin Air and Suorin Drop, the Suorin Edge is a must buy. Great product. Comes with 2 batteries and each last quite a while. Hits like a suorin Air but not as inconsistent. Does not come with pods which I find ridiculous but other than that it works great. Best POD system out. The extra battery is a must. Love it, I had a Juul, but went to the Edge about a month ago. I love that it has two batteries, I am a heavy vaper and use both batteries in one day, the pod holds enough e-juice to last at least 2 days. the pods last for at least 3-4 fills. you may get some juice after you fill the pod but its very little. highly recommend it. Nice slick product. It is a very innovative pod system. Wish it would have came with a pod. Everything works great just doesn’t have a throat hit i was looking for. Modular system on the Suorin Edge is great.. You can go all day on a pod full of E-juice and the 2 included L-ion batteries if fully charged..
Really like this one. I own most of the Suorin line of pod mods, and this is one of the better ones, though all are good. Doesn't spit juice into my mouth at all.Nice solid hits while the battery LED is still green, when it turns blue they start getting weaker. One of my primary daily carry vapes. CAUTION TO ALL BUYERS! This kit DOES NOT CONTAIN AN EMPTY POD. You must purchase an empty pod separately to use this kit. It does contain an extra battery though. Its honestly pretty good. A pretty tight draw, tighter than the smok novo. As for the loose battery, I put a piece of scotch tape around the top of the plastic part and it fits perfectly. The lock button also rattles, but i also put a piece of vinyl tape around it and it fixed the rattle and it looks like it was meant to be there. Fell in love at first puff! This thing hits great using 50mg nic salt. Have purchased quite a few pod mods. This one is the best by far. Even better then my boulder pen which i love. Battery could fit more tightly and wish it would have came with pods. But other then that i love it. Great price too!